(BLB) eziri mu Bank of Africa ne Stanbic zonna eziggyibwa ku bantu mu nkola ya Kyapa mu ngalo kwe ziteekebwa. Wadde nga Kabaka yawangudde, tekitegeeza nti omusango gwonna ogwa Kyapa mu ngalo guwedde. Mengo ne pullida Mabirizi muveeyo mu balamuzi ba NRM nokugabana omusimbi, mudde eka mutegeragane kulwobulungi bwensi yaffe Buganda nabantu baffe. E Bungereza ku ttaka lya Queen tosengula mutuuze wa Queen nga tomufunidde wanagenda okusula nokulira emmere nomukazi we n' abaana be, nabaana webanasomera. Bwosengula abantu ba Kabaka wa Bungereza omuntu omu oba 300 kubanga gwe olina ekyapa mu ngalo oba gwe governmenti oyagala kuyisa luguudo abatuuze webafudde obuttaka bwabwe,.sooka otegeragane bulungi nabo era olabe gyebasobola okudda. Oluvanyuma otekewo kyoyagala ku buttaka obwo. Kakati katwebuze ku be Mengo abawangudde omusango. Abaganda bukya kyapa mungalo atandika enkayana ze ttaka wano mu Buganda ziri mmeka ezitaguluddwa kubanga abesobola mubya sente bo basobodde okufuna ettaka lyabajjajja mu byapa? Sebo puliida Mabirizi, bwetwali tusaba edda mumaka ga Taata, Twalina muto waffe eyali omuganzi ewa Maama ne Taata. Nga bwomanyi ebya Yusufu mu baibuli. Twamala nga okusaba naloopa muganda waffe Ssempiira nti yamulabye nga tusaba nga ffenna tuzibiridde naye nga ye Ssempiira atunula. Obanga abe Mengo basanyufu nyo okuleeta ne ba puliida abe bbeeyi abasaba sente empitirivu bwezityo nebakumega omusango, olabye nyo. Naye no ate nga bwegali amateeka agakyuuka, enkya ne ggulo wano mu Republic ya Uganda, abe Mengo omusango omulala nabo bwegunabatuuka munvi sente banazijja wa okukusasula bwonabasaba obuwumbi 100. Sebo puliida Mabirizi ebigambo bya mateeka g'Omungeleza geyaleka wano ewaffe e Buganda ogamanyi bulungi. Ate nga nabe Mengo bakiriza dda okubeera ne Kabaka wa Buganda mu Republic eye mundu eya Uganda. Ensonga nga zino ze mukayaniramu zezitawanya ne kakano Omungereza ate ave mu Europe gyeyakiriza okugenda mu mu myaka gyemabegako. Bangi bagala kuva mu Europe ate abalala bo bagala kusigala mu Europe. Ate nga Omungereza Ssemateeka ye Queen wabwe mu state of Britain. Tebalina Ssemateeka omuwandiike akyusibwa nga obudde bwempewo kyebugamba wano mu African Repulic of Uganda. Munsi yonna teri governmenti eyali ewangudde abagyedimira nebagikolako obuyeekera. Nebweba ne Police Namagye agobusungu obwenkana butya eri abamenyi bamateeka gaayo. Sebo omusasi wa Bukedde, waliwo okulowooza nti banabyabufuzi bebateese ensi eno kubunkeke. Ennaku zino abantu ba Buganda okuttingana si kwe kusooka. Era Ssemateeka ono aliwo kakati ensonga eyo yagilambika bulungi nga abantu ba Uganda bangi baagikiririzaamu okusobola okutaasa obulamu muntalo enyingi enyo eza Uganda. Entalo zino zamalawo obulamu bwabantu bangi nyo ddala. Omufuzi Presidenti wa Uganda afuge ebisanja 2. Ate bwatuuka emyaka 75 awumule. Kakati kizibuwadde nyo okumanya ani omu Africa asude mu Africa munne eddalu lyoyogerako? Okulwana kwo muyekera kubi nyo kubanga Sarumanya ne Nalumanya bonna omuyeekera nga bwaba agudde eddalu bonna ye atta bussi. Legal Aid Service Providers Network (LASPNET) has embarked on a campaign to mobilise the public to support efforts to pressure government to enact the national legal aid policy. 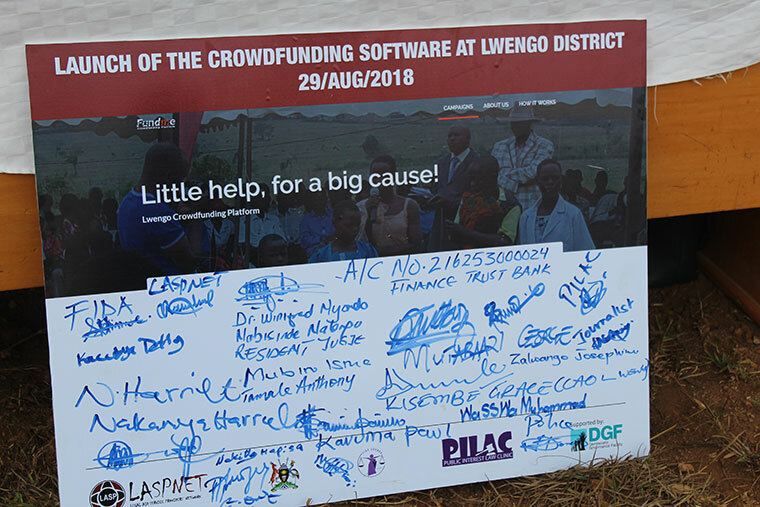 Speaking at the launch of a crowd funding software for Lwengo legal aid project, the LASPNET executive director Sylvia Namubiru Mukasa said her organization has taken to collecting signatures from locals to back up their petition for government to have the policy passed. “We want to sign the petition that we have developed so that we all demand that government passes the national legal aid policy which has been in abeyance for over a decade. This in effect will ensure that all indigenous peoples of the African continent access free legal services,” Namubiru said. LASPNET is one the more than 40 organisations that offer free legal aid services but with no formal provision for coordination and regulation their services. The Lwengo legal aid project was launched in 2016 with support from the Democratic Governance Facility (DGF) and has so far handled more 1,000 cases of land disputes, child neglect, domestic violence and property inheritance. The NGO is partnering with Makerere University’s Public Interest Law Centre (PILAC) and the Federation of Women Lawyers (FIDA) to implement the project with whom they developed the idea of crowd funding to ensure that the Lwengo pilot project remains self-sustainable even after they have closed off support. With the online fundraising software, locals in Lwengo will collect modest amounts of money into a pool that realizes sufficient funding for their legal support services. The collected funds will have a special account run by the Lwengo local government and will be used to top up the services rendered by lawyers as well as to be kept as a revolving fund for future legal service provision. 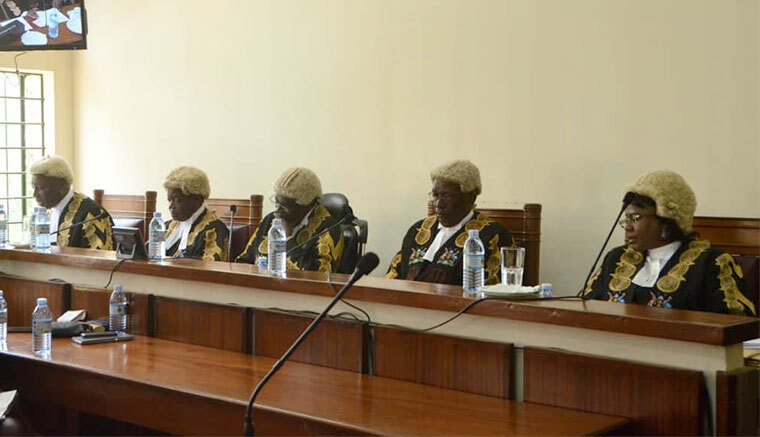 Masaka resident judge Winfred Nabisinde wondered why government, despite having the responsibility of providing legal services to all citizens is reluctant to enact the legal aid law. In the circumstances, she said, it is important to have a tentative measure as a pathway for access to justice. “It is high time we contribute to our own needs, this will increase responsibility and accountability in access to justice,” Nabisinde said. Nabisinde also highlighted other schemes set up by government such as plea bargaining, small claims and mediation that help citizens manoeuvre through the justice chain and urged the people of Lwengo to embrace them. Lwengo LC-V chairman George Mutabaazi said that since the launch of the Lwengo legal aid project two years ago, there is a remarkable reduction in pressure on the police. “It has done away with brokers who were conning residents and shortened the long distances that many had to travel to seek justice,” Mutabaazi said. Of course the African politicians must have accepted this legal aid provision a long time ago. They just cannot do it because it can stop them putting their opponents into custody for as long as they want to. Trouble is that it is the tax payer who pays for the up keep of these citizens that are arrested up hazardly against the law and cannot afford the cost of the lawsuit made against them. And if they try to afford to pay for their lawyers, they end up paying lots of money that end up crippling their Livelihood even further. Judges of the Constitutional court have upheld the presidential age limit amendment. Three of the four judges so far have ruled that the presidential age limit amendment was legal and constitutional. Justice Owiny Dollo is yet to deliver his judgement but it won't affect the final result. Justices Remmy Kasule, Cheborion Barishaki and Elizabeth Musoke ruled that the amendment for presidential age limit was constitutional. Only Justice Kenneth Kakuru declared the entire act null and void. All four judges so far have declared extension of MPs' and Local Government councils tenure from five to seven years null and void. This judgement one hopes, is going to send a clear message to the official opposition in Parliament that the King of Buganda promised his subjects to call on a constitutional amendment for Uganda to recognize the true Independence of the state of Buganda and its self-determination as an Ancient African Kingdom state seperate from the current constitutional state of the Republic of Uganda. 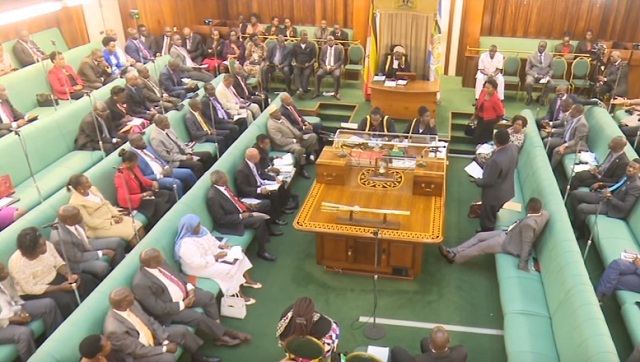 The Uganda Parliament made up of the majority ruling political party of NRM MPs, one by one, drive to an office in Kololo, run by their secretary general Justine Kasule Lumumba, to receive bundles of new notes of Uganda shillings stuffed in polythene bags. Each MP is given Shs 2 million as his/her allowance and Shs 100,000 per village in his constituency to campaign for party members during the Local Council elections. These elected Members of Uganda Parliament then rush to their constituencies to bribe poor and desperate voters. Money was also distributed to influence women village councils’ elections. Then the NRM chief will declare victory at the end of the exercise. A pump attendant at a fuel station near my residence in Bukasa, Bweyogerere climbs the board where prices are displayed to adjust them as consumers wait to fuel their motorcycles and other vehicles. I confront a similar situation as I request to buy some dollars at a commercial bank in Kololo. The teller first makes a call to the head office to find out whether the exchange rate had changed that morning. But while all these things are happening, NRM MPs, one by one, drive to an office in Kololo, run by their secretary general Justine Kasule Lumumba, to receive bundles of new notes of Uganda shillings stuffed in polythene bags. The MPs then rush to their constituencies to bribe poor and desperate voters. Money was also distributed to influence women village councils’ elections. Then the NRM chief will declare victory at the end of the exercise. Therefore, before you walk into a court of law to file a case against the newly introduced social media tax, you must understand the source of the problem. In fact, the tax can even be scrapped but it will be enveloped in another thing. People are crying over another layer of tax imposed on mobile money services but what about an additional Shs 100 per litre of fuel. In fact the mobile money tax can be avoided but the one on fuel can not. Who in Uganda does not move in a vehicle or on a motorcycle these days? I think now tax on each litre of fuel has reached about Shs 1,600. Social media tax should be used as a precursor for a bigger debate of Uganda’s terminally sick economy. For a while, the taxes on mobile money and social media have made us forget that the former inspector general of police, Edward Kalekezi Kayihura, is still under detention at Makindye military barracks. I now think he is being made to serve his sentence before he is even charged in court. There was a time Kayihura made us join Dr Kizza Besigye by turning our houses into jails. And Uganda being what it is, the media filmed policemen at our gates and all over our houses for the first three days and moved on with other issues. The world nearly forgot that our rights and those of our family members were still curtailed by the good NRM cadre. He now faces a similar situation. Maybe he now knows or will subsequently know that a bad regime is bad for everybody including those who are blindly loyal to it. That is the point Hajji Hussein Kyanjo made when Cerinah Nebanda, the former youthful MP for Butaleja, died under mysterious circumstances. During debate in parliament to pay tribute to Nebanda, Kyanjo said bad regimes start by curtailing freedoms, including freedom “to even talk.” They then carry out arrests, then torture and finally kill. He said even those that support such regimes are also arrested, tortured and eventually killed. He outlined about seven methods/ stages they go through before collapsing. That is why our focus should not be on the tax on mobile money and social media alone but on fixing the entire economy. This man, and I told him when he featured on our weekly Saturday Capital Gang talk show, forgot all about Uganda and thinks about himself. I have said, and pardon me if I repeat myself, that resolving or digging ourselves from the pit in which this Ntare School old boy has thrown us into will take us a good number of years. And then the media is blaming LC-1 chairman contestants for riding in big cars/convoys as they hit the campaign trail. The man has killed our country and the earlier we recovered it from him the better, even for himself. Distribution of money has become his main activity. He distributes in private and in public. Didn’t you see him in Rukungiri? I will always be grateful to those Bakiga who “ate” the money but voted against the regime. That is what all of us must do. If we don’t, he will have to tax everything to raise money for renting support, especially through elections, which have become the country’s main activity now. Those who will go to court over a new tax, please get ready. Indeed too bad. And those who go to Uganda courts for justice, court decisions seem to have to take 2 to 3 months as the learned judges sort out lots of lugambo(social loose legal talk or gossip)! Abamu ku bataka nga balaga obutali bumativu bwaabwe. ABATAKA abakulu b’ebika mu Buganda baagala okutandika okusolooza omutemwa ku buli nsimbi eziyingizibwa e Mmengo oluvanyuma lw’okukizuula nti tebafibwako wadde okuweebwa omutemwa mu bajeti y’Obwakabaka okutambuza emirimu gyaabwe. “ Ffe tetulina kyetugabana. Eggwanika liremeddwa okutulabirira naye ate ssente eziyingira e Mmengo weziri. Kyetwagala okugamba nti buli ssente eziyingira e Mmengo, Abataka ng’abalina omugabo mu Buganda bafuneko omutemwa;- ku Ngule tufuneko kuba bazzukkulu baffe bebagunywa, Ku Nkuuka tufuneko kubanga bazzukkulu baffe bebajja mu Nkuuka, ku mipiira gy’amasaza tufuneko kuba bazzukkulu baffe bebasamba. Buli kimu tukiroboleko, olukiiko lw’Abataka lusobole okuyimirirawo n’okutambula osanga Omuwanika akalubirirwa ssente okuzireeta zonna mu ggwanika ate nazifulumya, bweziyingira bwafulumya abamu atwerabira. Kati batuwe nga tezinayingira ggwanika kubanga bweziyingira zikaluba okufuluma nga zidda ewaffe,” Omutaka Kyadondo Kasirye Mbegeramula nga ye Muwandiisi w'Olukiiko lw'Abataka bweyasomye ebimu ku byasaliddwawo Abataka. Bino byabadde mu Lusirika lwabwe olw’Omwaka olwatudde ku butaka bw’ekika ky’envubu obusangibwa ku lusozi Mbazzi mu ggombolola y’e Ntenjeru mu ssaza ly’e Kyaggwe nga lwatandika ku Lwokutaano June 8,2018 nga lwaggaddwawo Ssabalangira Godfrey Musanje Ngobe era nga batesezza ku bintu ebirala bingi. Bafananye Ssabasajja jo juuzi naye bweyavayo neyekanga nga ensi ya Buganda eya bajjajjabe bwetali mubitabo bya map zensi zonna! Bulijjo bano abatuuze ba Buganda babadde wa gyebatetaaga sente? Ndowooza bano abattaka babadde bali mukutunda kuttaka bafune ekyokulya. Omwoyo oguli mu Buganda ogugamba baganda banno nti nze munange ndi bulungi nina kenekoledde omwoyo ogwo gulina okukoma. ABANTU bakyagenda mu maaso n’okweyiwa ku maduuka agatunda layini z’essimu okusobola okuzzaawo ennamba zaabwe ezaababbibwako. Bano baabadde ku Shoprite mu Kampala wakati nga baagala kuzzaako ssimu zaabwe. Ebifo okuli Shoprite Lugogo, Kampala Road, Shoprite mu Kampala, Ntinda, Bukoto, Bugoloobi n’ebifo ebirala byonna bikwatiridde abantu ab’enjawulo abaagala okuzzaako amasimu gaabwe oluvannyuma lw’okumala ebbanga erigenda mu myezi ebiri nga Gavumenti eyimirizza okuzzaako nnamba y’essimu ebuze. Kyokka Gavumenti bwe yalangiridde nga bw’eggyeeyo ekiragiro kye yali yassa ku kkampuni z’essimu ng’eyita mu kitongole ekivunaanyizibwa ku byempuliziganya ekya Uganda Communications Commission (UCC) abantu bakeera kweyiwa mu bino bino bazzeeko amasimu gaabwe. Abantu bangi ababbiddwaako essimu babadde bali mu maziga kubanga buli kintu kye babadde bakolera ku ssimu kibadde kiyimiridde. Okukuba essimu omuntu kibadde kimwetaagisa kweyazika oba okubyesonyiwa. Kati okuzzaako essimu olina okugenda ne densite y’eggwanga, ebbaluwa ya poliisi ekakasa nti waloopa okubula kw’essimu, nga tesukka mu mwezi n’obusente obutono obutasukka 3,000/-. Kyokka abantu abamu baateganidde busa oluvannyuma lw’okusimba ennyiriri kyokka ng’ebbaluwa za poliisi ze balina nkadde nnyo ne bazibagobya. Joan Nanteza omutuuze w’e Komamboga y’omu ku bafunye ekizibu kino. Ate Faith Bugozi omwogezi wa kkampuni ya Airtel Uganda agambye nti, ebifo we baddizaako essimu birambikiddwa bulungi okuli Lugogo Forest Mall, Kampala Road ku kitebe kya Airtel, Bugoloobi, Bukoto ng’ebifo bikyali bitono kubanga obuuma obwaweereddwaayo butono ddala. Ibrahim Bbosa omukwanaganya wa UCC n’abantu akakasizza nti buli eyabulwako ‘siimu kaadi’ egenda kuzzibwako singa ekyuma bwe kisoma ebikukwatako nga by’ebyo byennyini ebikwatagana n’essimu. Kyokka singa kisangibwa nga tebikwatagana oba togenda kugifuna. Yagambye nti obuuma buno baakafunako butono nga buli kkampuni ya ssimu yaweereddwa obuuma 10 okutandika naye nga basuubira okwongera ku bungi bw’obuuma buno kuba obwetaavu bungi. Eno gyempangalira essimu bye bajjikubako oba okubulako, otegeza kkampuni yo eyessimu, olwo bo nebagisiba ngabakozesa imei namba, buli ssimu erina eyaayo ngaate tezifanagana, nga emotoka bwe zirina vin (vehicle identification number )namba. Essimu basobola okugisiba ne namba eyo eno, kale nebwogenda mu kampani endala mbu ofune line mu ssimu eyo enzibe tebikola. Okukakana nga essimu efuuze bikwangala. Mukulu Kintu Muntu singa Uganda ekola essimu nandi genze nawe kunsonga yo. Essimu eyaleeta okutta kwo mwaana waffe, nga ffenna bwetuli abazadde siyembi. Si ye gasiya. Teyinza kuba kikwangala. Abantu abanyumirwa okutta abantu bo bafunemu bebakyamu. Kyogamba nti omujjuzo gwabantu ababuliddwako essimu zabwe essimu ezo zonna zifulibwe bikwangala. Bademu bagule essimu empya? Abaana abasoma mubibiina byabwe wano mu Africa basanidde okubeera ne smart-phone. Olaba ne Bible ne Koran kakati osobola okubisomera ku ssimu newankubadde nga bajjajja baffe babalya nyo obwongo nti bitabo bitukirivu obikwata nabwegendereza! Governmenti eno tugigamba olutatadde nti smartphone e South Korea eri ku mitwalo 5. Bweyungibwa wano e Buganda ebeera ku mitwalo 3. Lwaki essimu eyemitwalo 5 ogiyingiza mu Uganda, gwe governmenti ya Africa atagikoze nogigyako omusolo gwa mitwalo 25 oba 50? Mukulu Kintu nze okuva lwebanzibako emotoka yange nebankuba teke nengwa eri nga bakute nemundu tolowooza nti emotoka yange bagitema dda spare nga mukwano gwange alina emotoka efanana eyange spare oyo gwakozesa? Ye banange emundu gyebabbisa bwekwatibwa efuuke kikwangala bajiteeke kumuliro bagyokye? Kilowozebwa nti ba customers bano bwebanafuna sim-cards zabwe bajja kwetaaga okufuna essimu. Oyinza okusanga nga baguze ezo zenyini zebababbako kubanga zigula sente ntono nyo. Kubanga nemisolo gya Data gyongezeddwa okugula essimu kyetagisa sente nyingi nyo ddala okubeera nessimu era nokugilabirira. Ababaka bagamba kyeere. Kogikutteko Buganda nayo Kegikwateko nga Ssabasajja bweyalanga, yeddize full Autonomy rule yayo gyeyawayo mbu esobole okwegatta namawanga 15 okukola Uganda. Ono ali ku Buganda nga agifuga mwe kwekuzaalibwa. Era obulimbabwe mubumanyi bulungi. Naye yajja kunoonya sente nga bwemulaba bwazimansa nga yegula ne banne. Dirisah nga ogwamu mangu amayi. Ffe abalaba Buganda nga ekiriziganya ne Bungereza okwefuga nga wayise emyaka 60 Bungereza nga yelemye, ate netulaba ne Obote na Amin ne Obote 2 nga bonna batulimba byabwe, olwo ffe tugambe ki? "WaPi!!! Bwe mutyo bwe mwatuwaga wanno kubayigiriza 12 , naye mwabivaako dda era kati mwe ababaka mwenogera nsimbi wano e Buganda." The deputy Speaker of Parliament Jacob Oulanyah has condemned the September 27 security raid on parliament by suspected presidential guards. Oulanyah, who was speaking upon the return to parliament of opposition MPs led by their whip Ibrahim Ssemujju Nganda said the raid was "highly regrettable." "I would not be reasonable to say that the events of September 27 are not regrettable, I would not be acting in a sincere way. These events were not proper. It was first of all unnecessary and secondly highly regrettable. And I pray that this House will never witness anything like that ever again," Oulanyah said. "We have a department of sergeant at arms responsible for the general security of parliament. And the work of sergeant at arms in the Commonwealth world where we borrowed this from, is maintaining the dignity of the House and related matters and making sure things happen in the way of rules and procedures of this House and practice permit. But in the recent past, we have also created a directorate of police headed by a commandant. Because of the changed nature, the security definition of things has changed, the threats that could not be within the control of things of Sergeant at Arms - they could be other things terrorism and things like", said Oulanyah. "In the wisdom of parliament, they decide to invite these people to have the presence of the police in parliament and it is a recognised directorate of police inside parliament. They are the ones I know and those are the I know are supposed to be in charge of the precincts of parliament wherever it may be sitting and its members", he added. 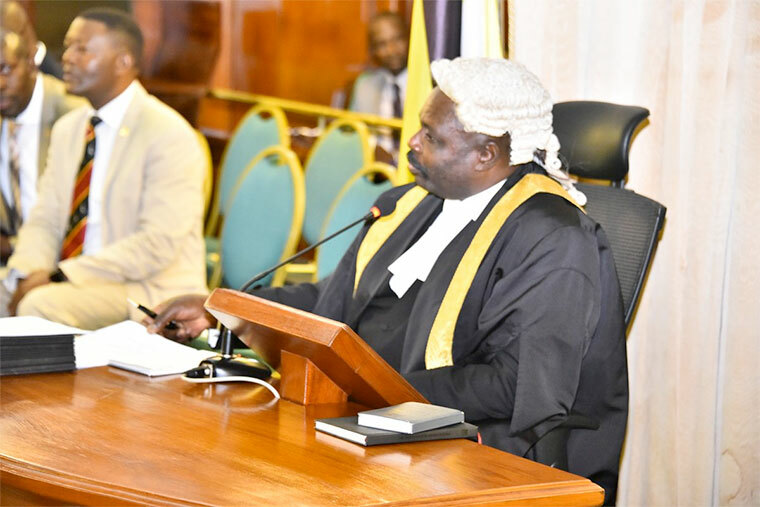 Oulanyah's statements followed a procedural point by opposition whip Ibrahim Ssemujju Nganda who narrated how he was brutally ejected from the chambers even when he was not named by the speaker for suspension. "I was not one of those that were suspended but I was grabbed from this chamber, dragged and thrown on the ground in a room just behind you Sir, I was strangled and driven at a very reckless speed in a police van and detained at Naggalama police station," Ssemujju narrated. "Reference has been made to a letter from the speaker, I have not seen that letter. I have seen it on social media. I have also seen a response purportedly from the president also on social media. I cannot guarantee the authenticity of either of them because none of the purported authors has confirmed to me that they have written this letter. Not the speaker, not the president. On the lost iPads, the issue will not be so much of procedure but claims that if circumstances were such that they could be lost, the people responsible for the losses should be approached and they make good of the loss made to Members of Parliament", Oulanyah said. "I spoke to the speaker this morning and if there’s a formal issue that should be raised to address this issue, the speaker requests that it should be in her presence because she was the one who was here", said Oulanyah. Indeed no one is safe in Uganda. That is what every Ganda patriot realized when Obote 1 arrested his own Ministers in his Prime Minister's office 1965/6. What of this same man attacking the Ssabasajja's palace. Every aspiring politician in this country does his politics at his or her own peril. That is why most probably M7, the current leader of Uganda travels with so much military escorts in this country of a very long history of insecurity. Kampala Capital City Authority (KCCA) has directed Parliament to halt the ongoing construction of the new Chambers after the allegedly institution deviated from the original approved building plan. The construction of the new Chamber, estimated to cost about Shs 180 billion, kicked off this year following a year of allegations and collusion between rival firms and technocrats during the tendering process. Roko Construction Company is expected to construct a new state of the art Chamber, modify the existing one and build a Hall of Honour. Now, in a letter dated November 22 and addressed to the Clerk to Parliament Jane Kibirige, Moses Atwine the KCCA director for Physical Planning highlights alterations in the building plan which he says were never authorised by the city authority. This is the Construction of the new dodgy building that is costing over 180 billion shillings of tax payers money. "Reference is made to approval no. 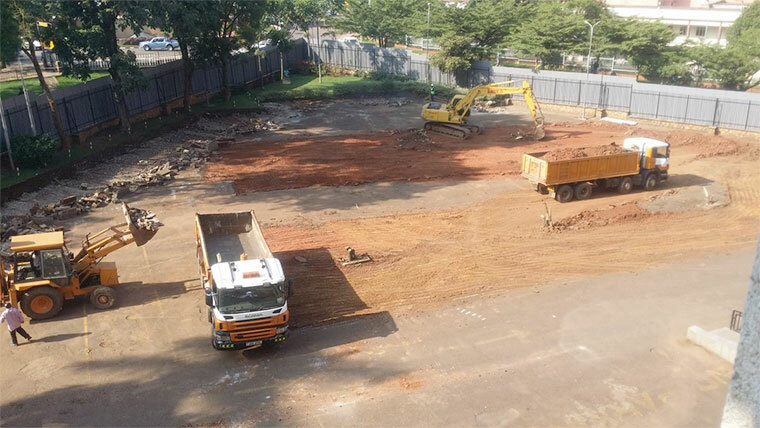 715/17 of your building application dated 3rd August 2017 to expand the existing Parliamentary Chambers on Plots 13 -15 Parliamentary Avenue and 16- 18 Apollo Kaggwa Road. Following our mandatory inspections conducted on your site on 13th November 2017, it was observed that the design for the new chambers had been altered," reads part of Atwine's letter. The letter notes that the foundation structure currently being laid is beyond the scope of the approved chamber building and encroaches on the neighbouring plots and / or road reserves. "An analysis of the revised drawings indicates that; the new chambers shall encroach onto the public open space along Apollo Kaggwa road, currently used as CHOGM gardens, part of the roof on the eastern side of the revised structure will hang over the reserve of Siad Barre road," said Atwine in the letter. He further notes that although the current major works on the foundation are still being carried out within the plot boundary, the new design will ultimately encroach on property not owned by the Parliamentary Commission or the Uganda Land Commission. Atwine also notes an existing National Water and Sewerage Corporation main water supply line right within the proposed construction area which he says has been exposed by the extended excavations in contravention of the Water Act, CAP 152, Section 101 which stipulates a 4 metre way-leave on both sides of the pipe. The Director Physical Planning says that there is an eminent danger of disrupting water supply to the Central Business District if this pipe is tampered with. Atwine noted that the Kampala Capital City Physical Planning Committee in its 229th sitting noted alterations which have never been authorised by KCCA as the planning Authority. The letter also notes that Parliament has not been given any right to use the neighbouring properties as part of their development. "This communication therefore serves as a notice to halt construction works that are outside the extents of the approved plans and further invite your technical team to a meeting geared towards resolving the issues, this Friday 24th November 2017 at KCCA," further reads the letter. Also to attend the meeting according to the letter is the managing director, National Water and Sewerage Corporation. The letter is copied to the Speaker of Parliament Rebecca Kadaga, minister for Kampala Beti Kamya, KCCA executive director Jennifer Musisi, managing director, National Water and Sewerage Corporation, and the KCCA director engineering and technical services among others. However much this Assembly building is obtained, the Ganda fraternity decided sometime ago that this is a House that is doing nasty business against Buganda's interests on the soil of Buganda. And it must be moved elsewhere. A very beautiful photograph and a nice piece of history. 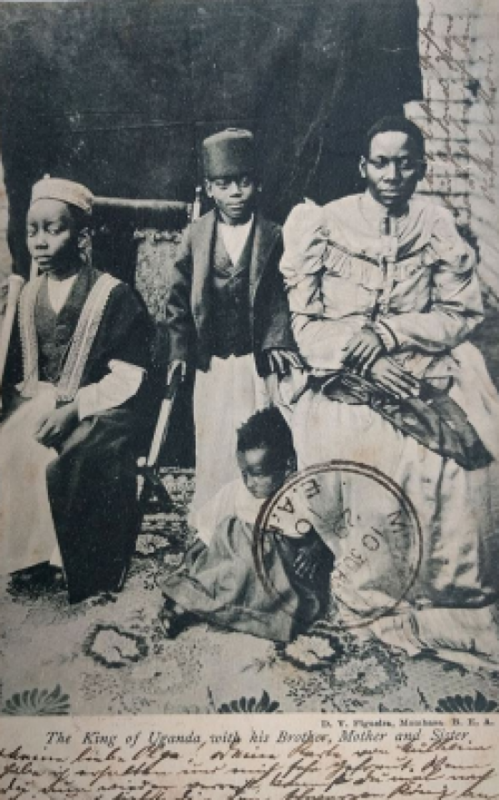 "The King of Uganda with his Brother, Mother and Sister"
Card published by D.V. Giueira, Mombasa, British East Africa. Sent to Germany, with a stamp dating it to 1910. Ekitabo kino: OBUKULEMBEZE BWA BUGANDA, kitandise okutundibwa mu bitundu by'ensi ya Buganda nga kilambika bulungi ekifo kya Buganda wakati wobufuzi bwa M7 obwa Uganda obwe myaka 30. ENSALO Z'ENSI YA BUGANDA WAKATI MUNSI YA CONTINENT ENENE EY'AFRICA. Kitange ye Mwami Charles Iga. Jjajja ye Kamoga. Yasalamuka bukulu yali Christoper Kamoga. Tubeera ku Kyaalo Kitungwa, e Kyadondo. Ggwali mwaka 1982 awo nga wakati womwaka ogwo netulekayo okusoma e Kitungwa Memorial School nga nina emyaka 13 gyokka. Kusomero baatugamba okudayo awaka kubanga olutalo lwali lutandise mukitundu kyaffe. Twadda eka netulima nga bwetunoga emwanyi okuyamba kubazadde baffe. Twali tukyali awo abaserikale ba government ya Uganda nebajja nga bali mu lorry ya TATA. Ente 10 ne nyana 4 mukiraalo kyaffe nezirugenda. Tebalina bulabe bwebatukola mukiseera ekyo. Bagoba ente nyingi ddala mu byalo bingi mukitundu kyaffe nebazitwala. Twasalawo okusenguka netugenda e Kanyanda nga tubiwulidde ko nti wewaali camp eyabanonya obubudamo. Twazimba obusisira obwokusulamu ne bazadde baffe. Batwaala Abawala emyaka 17-18 nga nemwanyinaze omukulu Nabukeera teyalutonda. Naguno gujjwa yabula. Banyinaze nga Nalubega, Nayiga ne Nakacwa kumyaka 8-10 Maama wange yabasigaza nga ddala bato nyo. Wayita emyezi 2 aba Red Cross nebatusanga e Semuto mu bifulukwa gyetwali tudukidde nga nayo olutalo lwaali lunyinyitidde. Batuwa Biscuits, amazzi gokunywa, Blankets, ne Ngoye zokwambala anti nga zetwalina zaali zikutuse. Aba Red Cross basobola nga okuyita ku baserikale ba government ya Uganda bo abaali bamaliridde okunoonya nokukwata abayeekera buli kiseera. Omwezi nga guyiseewo abayeekera bajja okutukyalira nga bambadde engoye eza leeya. Balondamu abavubuka abe myaka 13-20 abaali basobodde okwekweka abaserikale ba government ya Uganda. Nange saluwona kuluno. Twatwalibwa mu Camp yabayekera bano e GARAMBA miles nga 8. Twali ebibinja 4 nga buli kibinja abavubuka baali 18. Enkeera twatandiikirawo drill, okuzimba obusisira, okufumba emmere, okunaaba kumpi no luzzi olwaliwo okumpi ne camp. Mu camp eno twasangamu abantu abakulu bangi ddala: nga Mukyala Zizinga, Mukyala Proscovia Nalweyiso, Mr Semanda (Ono yekuba emundu oluvanyuma enyo nga obulwadde bumwetamizza ensi eno!) Mukyala Najemba, Mukyala Nabukenya, Mr Tekirya- Omunyankole, Mr Sunday Biseegusi, Mr Kawooya, Mr Kituuse, Mr Ssekajja, nabalala bangi nyo ddala. Oluvanyuma twakyuusa Camp netutwalibwa e Kapeka miles 8 okuva wano e Garamba mu ka saawe ke Kasejere. Twatema emiti okukozesa ku drill eyokutabaala entalo nga gifanana: AK47. Eno ye mundu AK 47 gyetwayigirizibwa okukuba sabbawa mu kyalo. Buli kumakya. Up--up-up-kuliya gewuka--kata--kanyaga. Olwo nga mpezeza emyaka 14 oba 13 nekitundu. Mukyala Proscovia Nalweyiso mubiseera bino. Twazukuka nga: 6.00 a.m kumakya netugenda mu kisaawe netutandiikirawo oku training. Ssawa: 10.00 a.m netuwumulamu netunywa obuuji ne muwogo omufumbe. Ne tunywa amazzi mu luzzi nga tetugafumba. Olulimi twali twogera Luganda nga ffenna lwetutegeera. Ku ssawa 1.00 pm netunyuka AMAFUNZO. Netudda awaka mubusisira bwaffe obwesubi. Twanyumyanga mu bwaama, mukasirise. Abavubuka emyaka 17-18 ate Abakazi na Basajja emyaka 35-50. Kumakya nakawungezi nga kukuba drill. Mu camp zino twali nga ba private abali awo abawulize eri abakulu baffe. Twali tetuddamu bakulu. Nga tukuba ngato zaabwe. Ekyeggulo twakiryanga ssawa 5pm. Olwamalanga okulya ekyeggulo netugenda OKULEKINGA (checking) okulawuna, okwetegereza omulabe kyayinza okubeerako. Nga tugamba nti lunaba lumu omulabe natugwaako nga tetutegedde. Natwanganga amangu ago. Obudde nga buzibidde ddala netudda munsisira zaffe netwebaka kutulo. Kumakya agamu twakeera nga netufuna order okunoonya emmere. Twasiba nga abalimi abaali tebadduse mubibanja byabwe ku miti singa bagana nga okutuwa emmere. Twabajja ngako enkoko, emmere netutema ne tusima. Amasefuliya twagayita nga (Goodiliya) amagulu asatu. Twafumbira nga kunku. Okulya nga tulira wamu ku saniya eza Plastic. Oluvanyuma netuzooza awo kumpi noluzzi olwali okumpi . Obulamu buno newankubadde nga bwalabika nga bwamirembe, mubyalo mwalabikanga mu abatuuze abatakwatibwako baserikale ba government. Mubano mwavangamu abatuketa. Twa batuuma: BAPINGAMIZI. Kyali kyanaku nga tulina okubalumba. Baleetebwa mu camp. Omusango bwegwabasinga batekebwanga okusima ekinya. Banaffe bakwatanga akakumbi (AKAFUNI) nebakakuba kunkoona yo mutwe gwomulabe ono nga asitamye ku kinya. Yagwa nga mukinya nga mufu nomusai gwonna. Yazikibwanga bwatyo. Oluusi ekinya kyali nga mu kisswa ekyenkuyege. Nazikibwa omwo. Abantu abattibwa bwebatyo nalaba nga 30. Buli week nga abasajja 5 battibwa. Temwali bakazi. Abakazi baali batitiizi nyo ku kyokufa kwobulamu. Lyo Ekomera nawulira ko nti lyali Kanyanda ate nerida e Buwazi. Abavubuka bangi battibwa kubanga government yabawa nga sente okugula emmere, gumboots nebirala bingi. Waliwo eddwaliro era nga Dr Kizza Besigye yalikulira. Bagabanga eddagala nga bwebakebera abantu obulamu bwabwe. Kubanga ngenda okutuuka emyaka 14 nga Omusawo ono mulaba nemimwa gye emimyufu nobuddugavu bwe mumaaso. Major Kanuraanamwana ye yasalanga emisango gyokutta abalidde munsi olukwe. Abafumbi baali bawerera ddala nga 10. Abakyala baava nga munsisira zabwe nebayamba okuwaata nokutegeka ku mmere oluvanyuma nebadayo. Emmere yali ya muwogo, amatooke, lumonde. Enva za doodo. Twayiga okukuba emmundu (ssabbawa) okuteeba. Twayigirizibwa okuzipanga, okuzilongoosa ne oil, nokuzipangulula. Mukyala Nalweyiso yalalika nga nyo bakyala banne obutafuna mbuto. Era nkikakasa nga ne Dr Besigye mu nzijjanjaba ye embuto zino yaziyimiriza nga. Naye no nga bwekisoba omukazi namala afuna olubuto nga agobwa mu lutalo natindigga olugendo olumuza ewabwe. Twali tukyali awo obudde bwe ggulo ssawa 5pm, Lorry zekika kya TATA nezituuka nga zijjudde abaserikale ba government. Twadduka kubanga abaserikale baali bangi nyo ddala ffe okusobola okubanganga. Bwetwatuuka kunsozi netukuba ku mundu naye nga busa. Ate no nga nobudde buzibidde ddala. Twadduka e Singo. Twatambula ekiro kyona nga bwetuwumula kubanga abalabe batya okutambula ku budde obuzibye. Twasanga abamawanga agenjawulo mubitundu ebyo. Oba be baluulu. Simanyi. Naye nga bwetwali twetaaga emmere nabo twabasiba nga ku miti netubajjako emmere gyetwali twetaaga. Twakola camp netugituuma LUTTAMAGUZI. Museveni mu camp zino twamwekanga bwekanzi. Ate nabulawo. Nze okumulabako nga maze kuweza emyaka 15. E Singo era nayo twafunayo akasawe era netutandika okukola drill ne training nga bulijo. 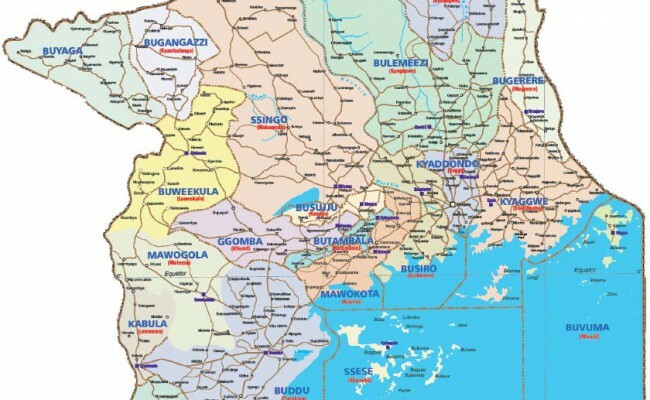 Twagenda okutuuka e Singo nga tuweze abantu bangi ddala. Kubanga bonna abaali besigaza mu byalo nga bekwese olutalo mungeri zaabwe badduka naffe. Abaserikale ba government batta abantu bangi nensisira zaffe zonna nebazokya. Balina obusungu bungi ddala. Twasindikibwa e Bunyoro miles 12 okuva awo e Singo. Tetwalina Uniform za magye. Engoye twatambulira nga mu zaleeya (civilian) ne ngato. Ewabinyira, kumpi ne Singo twaweebwa ku ngato za Gumboots nga mpya. Twali tuli awo nebatuwa ne Uniform eya magye nga yabibomboola. Emundu 30 bazituwa ekika kya ASR naye nga tuli abasajja 70. Kulusozi Kanziira e Bunyoro olusozi luno lwali luzibu ddala okuluwalampa. Twayambuka nga bwetukuba amasasi wansi wolusozi eyali abalabe. Order yali egamba. Bwemutuuka kuntiko yo Lusozi omulabe alina okuwerezebwa amasasi wansi attibwe. Wano twakuba camp nga bwetulingiriza omulabe. Ekiro bafa nyo nga bagala nyo okulaba amanyi go muyeekera genkana wa. Twamala e Bunyoro emyezi ena nga abaserikale ba government batutawanya. Tweyongerayo kulugudo lwebayita Mityana. Wano tweyawulamu A-coy, ne B-coy. Nze nali mu B-coy, commanding officer nga ye Katende. Twatuka mu kifo kyebaita Katende ne tuwumulamu. Okuva e Katende twagenda okulaba nga lorry ekika kya TATA double diffe etuuse. Twagwa cover netwanganga omulabe. Kuluno tetwadduka. Twayimirirawo. Twatta bonna nga 42. Tweddizza emundu zaabwe. 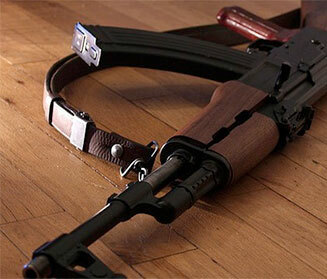 Twafuna SMG:submachine gun, LMG: machine gun ne RPG: rotational proppelled grenade. Twafuna amanyi ne tukuba nyo abalabe netufuna cigarettes, biscuits, tinned beef, amazzi ne sente abaserikale byebalina. Abaserikale ba government abawanika nga bendera enjeru nga amateeka gentalo bwegali twabatta nga. Kubanga nga ffe abatambula nga tetulina kkommera lyabwe wakubateeka. Brigadier Kasajja yawa ekiragiro nti tewali kuddamu kwokya lorry za TATA kubanga obwetavu bwazo bwaliwo. Lorry nga 12 zenawulira ko nga zezakwatibwa mungeri eyo kuzetoloola buli ludda abaserikale ne ba dereva nebabuna emiwabu. Sijja kubamalirayo enkomerero yo lutalo lwe Luwero mubyalo byaffe ebyabonabona enyo nga bwenjogedde ko waggulu. Sagala kwewaana kubanga bangi kumwe mwalulimu nga abalwanyi baalwo ate nabalala mwalulimu nga ba civilians ababonabona enyo. Ffenna buli omu alina bweyalulabamu. Betwalwanyisa nga abalabe baffe bangi ddala tukkyaali nabo ebiro bino kakati emyaka 36. Olutalo musi telwetaaga kwewaniramu. Kintu kya bulabe obutagambika. Olutalo lwonona ensi nobugagga bwayo. Abaana, Abakyala n'Abaami bafa. Olutalo luteeka amabega enkula kulana yensi. Amangu ddala nga olutalo luwedde, Kojja Major Tekirya Tolonto yantwala e Mubende Casualty Barracks kubanga nali nina ebiwundu byolutalo. Najjanjabibwa emyezi 6 era ne mpona. 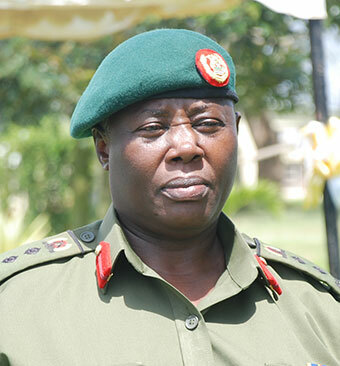 Nasindikibwa e Bombo barracks nentandiika okukola omwaka gumu. Mu mwaka 1988 netamwa obusirikale nga mukujjukira enyo nalina emyaka 18 egyobukulu. Bakama baffe e Bombo (ba Affande)(oba okuwa muwa) to give order mwalimu Mukyala Nalweyiso, Mukayala Zizinga, Mukyala Namusisi, ne Kojja Tekirya. Okusinga bo bano twabalaba nga nyo kunkomerero ya mwezi nga bakimye musaala ate nebadda awaka wabwe. Nasaba Commander Katende nakiriza okumpumuza nga agamba nti ng'omwaana omuto nali nina okuwumula. Nagenda Ekitungwa ewabazadde bange naye nga Kitungwa yali alabika bubi nyo. Amabati ge nyumba tekwali kunyumbaya Taata. Okujjako emmere ya Muwogo, ebisimbe bye mmere endala tewaali awamu ne bisolo. Amakubo gaali gazise. Amaka ga balirwaana nga bifulukwa byerere. Awokutandikira obulamu nga ddala sirina nze eyalina emyaka 18 egyobukulu, alekulidde amagye amanunuzi aga Buganda. Nze ne Taata twakubirira obusisira awo kusula era netukwata enkumbi ze twagula mumadduuka ge Bombo ne Matugga netutandiika okulima. Nga M7 amaze akulayira kku bwa President bwa Uganda era nga wayise ekiseera nga afuga, governmenti ye yalangirira okukunganya obuwangwa buno bwonna. Lorry za magye ne ziyita mu byaalo nga zikunganya obuwangwa buno. Omukulembeze wa Bayekera e Buganda, Kaguta Museveni nga alayira ku bwa President bwa Uganda, 1986. Bungi twabuziika awo ku Gombolola lye Gombe. Awalala Sambuwe ku kasaawe ke Sommero. Awalala kusomero lye Ndejje kukubo. Awalala Sanga nga ova e Matugga. Awalala Migadde nawo waziikibwawo obuwanga. Emyezi gyawerera ddala ebiri. Obuwangwa nga 700 buli luziika. Ate nga ne President Yoweri Kaguta Museveni yabeerangawo nateeka nebiwandiiko kuntaana zino. Emizinga gyakubwanga ne Serumbeti nezikuba. Nafuna omukazi netuzaala abaana 5 babiri ne bafa. Endabirira mubyobusawo nga tewali okujjako okukozesa eddagala lyo bwabajjajja baffe. Kojja Tekirya yafangayo nyo okutukyalira era natuleterangayo aka sente, akawunga ka soya, engoye enkadde ezabaana nabakulu, eddaggala, amata gobuwunga olwabaana. Mukulu Kasirye, omusomesa wa masomero yali mulimi era nga mulunzi. Yalima nga kalituusi nentandiika nga okumukolera ku kibanja kye kumpi ne Kitungwa. Awo we yanzija nantwala ku kibuga e Kampala, wano e Nammere. Namulundira ente ze era neziwera. Yampa nga omusaala. Sente zino nenziwereza abomuka. Emyaka 6 nengiweza nga mpakasa bwentyo. Kibi nti oluvanyuma Farm ya Mukulu Kasirye yagwa. Motoka ye najitunda eyali emuyamba enyo mubulunzi bwebisolo bye kukibuga. Naddayo mukyalo e Kitungwa nenima. Natema kumputa okusobola okubeezawo amaka. Emyaka gyawera 2 obusuubuzi bwe mputa bwatandiika okutabuka. Omusana gwayaka nyo negutta ebirime. Ebiwuka nebirya kayinja, emwanyi, nebitooke. Pressure neyitirira kwekukomawo kukibuga kye Kampala. Natuukira e Namere nate. Nalabirira enyumba ya Mukulu Kazibwe emyaka 4. Nawerezanga mukyala wange nabaana sente okutuusa enyumba Mwami Kazibwe lweyagyediza nga amaliriza safari ze zeyakolanga. Oluvanyuma nensenga ewa Mugenzi Mutumba awo era e Nammere. Nkumye enyumba eno nga bwenkola nemirimu gyange nga bwemba nsobodde. Oluusi kukimira balirwanwa amazzi nokulima compounds zabwe kakati emyaka 4. Nina obuzibu bungi ddala kubanga sente zenfuna kukibuga tezimala okusobola okuwerezaako abomumaka. Omukyala wange yabisibako awaka wa Taata nadda ewaabwe kubuttaka bwabazadde be. Njagala okukubira omulanga eri betwazirwaanako bonna nti, baagalwa banange, munyambe mumpereze kubuyambi naye ddala siri bulungi nakamu. Sirina ssimu ndi wano e Nammere mu maduuka. Obuuza ewa Mukyala Dina. Kibi nyo nti nokutuusa kakati nga 24 November, 2017, tewali buyambi bwonna obwaali bumberezeddwa mukubonabona nze ne family yange kwetwayitamu nga tuleeta M7 mubuyinza. Kale Tonda yamanyi ebyange. ISMAIL Ssemmambo (RO/2498) eyazirwanako y'omu ku bakubi ba ssabbaawa 21, Pulezidenti Museveni ng'akyali muyeekera be yatendeka okuwamba obuyinza. Ono obuyeekera yabuyingira ku myaka 16 wabula kati alaajana lwa kwerabirwa. Agamba nti ye yekka eyabajja emmundu ezaayambako NRM okulwana naye kati yeerya nkuta. Ssemmambo agamba olutalo lw'okuleeta Museveni mu buyinza yaluyingira yaakatuula P7, n’asimattuka okufa enfunda eziwera. Nzaalibwa Bulingwe mu muluka gw'e Kagogo mu ggombolola ye Makulubita e Luweero. Bwe nnali nsoma mu Buligwe P/s gye natuulira P7 mu 1981, olutalo lwa NRM ne lubalukawo okulwanyisa gavumenti ya Obote Museveni gye yali alumiriza okubba obululu mu kulonda kwa 1980. Amagye ga Obote gattanga nnyo abantu mu kitundu kyaffe ng'okugenda ku ssomero kizibu era ne nkoma mu P7. Ebiseera ebyo kitange omugenzi Ahamed Kakembo yalina enkolagana ne Museveni era kitange yafi ira mu lutalo luno mu 1983, yabuzibwawo basajja ba Obote n'okutuusa kati tetuddangamu kumulabako. Mu buyeekera taata yampaayo ne muto wange Muhammad Lukoda eyalina emyaka 14 naye eyafi irayo. Nga twegatta ku Museveni, taata yamala kutulaga Obote bwe yali omubi ennyo n’abantu be yali atta. Mu lutalo, Museveni yatendeka abakuba ssabbaawa 21, nange mwe nnali era omulimu gwaffe omukulu gwali gwa kubega magye ga Obote ekiro n'emisana, okubatega bbomu ssaako okubakuba (okubatta) era n'okutwalira mukama waffe Museveni amawulire agafa mu nkambi ya Obote. Nze nateganga bbomu eza ‘land mine’, ezitegwa mu ttaka, era zino Museveni ye yazinjigiriza Kitange yali musajja mubazzi, yalina obukyayi bungi nnyo ku Obote kale olw’obukyayi obwo nange nafuna obuvumu obumulwanyisa. Twalina ebyokulwanyisa bitono, we waava okukozesa amagezi taata ge yalina ag’obubazzi okuyiiya emmundu ku myaka 17 mu 1983. Nze naweesa emmundu 40 nga zikuba essasi limu limu, zaali za mbaawo, nakozesa ebyuma bya payipu. Emmundu zino zaasanyusa nnyo abatuuze ne Museveni era twazikozesa mu lutalo okulwanyisa abalabe. Museveni yatuwaayo emmundu enzungu nnya (4) ne tukozesa ne ku zino ezange, olwo nga tuli mu nkambi y’e Kasiringi. Nzijukira amagye ga Obote lwe gajja ewaffe e Bulingwe. Bwe baatuuka eka, nze ne muto wange Lukoda twali tusuze ku muti ogwali emmanju. Abajaasi ba Obote baakuba amasasi mu nnyumba yonna, naffe ne tubakubamu amasasi ana, naye ne tusimattuka ne tudduka. Ndi omu ku baawamba enkambi y’e Fort Portal, Kasese, Mbarara, Nakasongola, Masaka era ebiseera ebyo nnali nduumirwa Gen. Salim Saleh. Ndi omu ku bayeekera abaanunula omukulu omu eyali awambiddwa e Rwakitura, amagye ga Gen. Tito Okello Lutwa bwe baazingako ekyalo. Waaliwo akaseera k'okussa wansi ebyokulwnayisa wakati wa Museveni ne Lutwa, kyokka basajja ba Lutwa baakozesa akakisa ako, nga ne Museveni ali Nairobi ne bawamba omunene omu ku kyalo kye oluvannyuma gwe twanunula. Olunaku olwo lwe lumu lwe twalumba bbanka e Kabale ne tuggyamu ssente. Kino kyatanula olutalo ne luddamu buto era ku luno tetwadda mabega okutuusa bwe twawamba mu 1986. Nze ekibinja kye nalimu kyalimu Paul Kagame, Fred Rwigyema ne Chefe Ali nga tusinziira Kasese. Oluvannyuma lw'okuwamba, mu nsiko nasigalayo era nze omu ku baalwanyisa abayeekera Alice Lakwena ne Joseph Kony ne tubamalawo nga tuduumirwa Gen David Tinyefuza nga nze nkulira ebikwekweto mu ‘9th Battalion’. Mu 1992 nannyuka amagye g'eggwanga naye ekyasinga okunnyiiza okugavaamu nga buli bwe bagaba ebitiibwa n'emidaali okukuza abajaasi abaalwana nga nze bandeka bbali. Baali bansuubiza dda okufuna ekitiibwa kya Major naye ssaakifuna. Nze eyafiirwa famire yange, naye abalala nga babayisaawo! Nnali mmanyi nti bwe tunaawamba nange ndijjukirwa naye si bwe kiri. Kinnuma okuba nti nze sifunangayo wadde omudaali ogumu bwe guti ate nga nalwana era naweesaako ne ku byokulwanyisa bye twakozesa, waakiri bandinsiimye olw'ekyo. 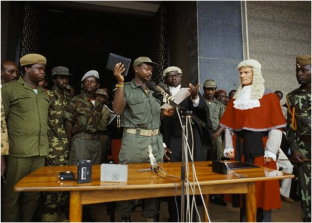 Nasemba okusisinkana Pulezidenti Museveni mu 1988 n'abakulu abalala. Ne ku olwo ssaafuna mukisa kwogerako naye mu buntu. Bwe nava mu magye, natandika emirimu gyange egy'obusuubuzi nga ntunda ebintu ebikozesebwa mu bulamu obwa bulijjo. Natandikawo ne kkampuni eyambako mu kuzimba era emirimu gyange nagitwala e South Sudan mu 2008 gye nnali nkolera ne kkampuni ya ESP International. Kyokka nayo, kkampuni eno yeekobaana n'abamu ku banene mu Uganda mu 2011 ne banyaga ebintu byange ebikozesebwa omwali ebyuma, kompyuta ne ssente enkalu ebibalirirwamu obukadde bwa doola munaana. Amagye g'omunda e S. Sudan gankomyawo e Uganda ne bandeeta ewa Gen. Salim Saleh gye mbeera kati . Ab’e South Sudan osanga baali balowooza nti nja kubalwanyisa nga ngaggawadde, sso nga nange nali njagala kuba bulungi. 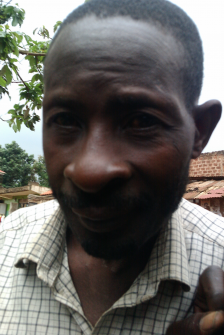 Ebizibu bingi bye nsanze ewa Gen. Saleh okuva mu 2011 bwe natandika okubeerayo, nkola emirimu naye sisasulwa ate bwe bansasula bampa ssente ntono ezitagya mu mirimu gye nkoze. Ngezezzaako okuwandiikira Pulezidenti Museveni ne Pulezidenti Kagame owa Rwanda kuba bwe twali mu nsiko naye simanyi oba amabaluwa tegatuuka kuba sifunanga kuddibwamu. Sirina maka gange, nsula mu muzigo omupangise, mukama wange omu yansuubiza okunzimbira ennyumba naye n'okutuusa kati sigirabanga! Brig. Elly Kayanja nga August 28, 2013 yawandiikira minisita avunaanyizibwa ku butebenkevu ayambe Ssemmambo naye n’okutuusa kati tekikolebwanga. Tulina abaana bangi abaali basoma emyaka 12-17 abatwalibwa mu ntalo 1980. Kimenya mateeka mu Ntalo ezokwetaasa munsi yonna. Kattikiro wa Buganda alina okuvayo kunsonga eno amanyise Abaganda Lwaki Abaana ba Buganda balina obulumi bwebuti. Wakyaliwo abayikuzi bentalo abakyayagala gasiya we ngeri zino ezentalo ezifiriza Buganda buli kadde zikomewo. Abaganda tuffe, tuffirwe nebyaffe. Ensi Buganda efuuke muyiggo, namunyago. Abefunira nga befunira! Kibi nyo ddala.